Animal wall sticker. Decorate your kids bedroom, nursery or play area with this great wall sticker. 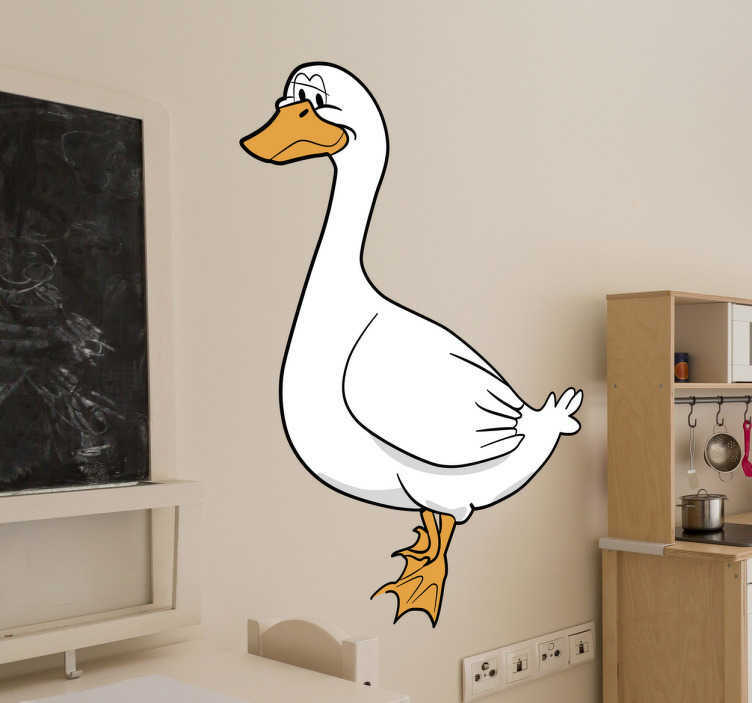 This wall decoration consists of a smiling cartoon goose. Like all of our stickers this design is available in various sizes. We use a special adhesive film which makes it easy to apply to any flat surface. The sticker makes no mess and leaves any wall it is applied to looking professional.